This post was originally published on May 16th, 2013. 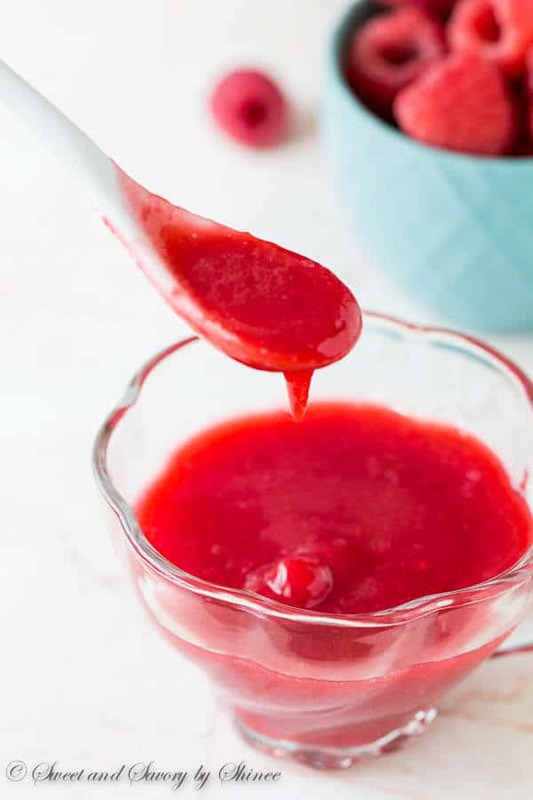 Silky smooth raspberry sauce is unbelievably easy to make. 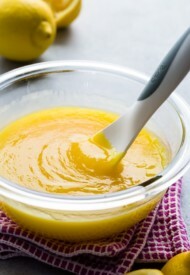 Choose sugar or honey to sweeten the sauce and cook until desired thickness. Fresh berry season is upon us, guys. Raspberries, blueberries, strawberries, I love them all. 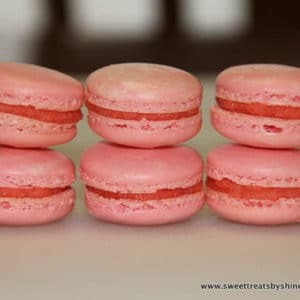 Lately, I’ve been on a baking-with-berries kick, and wanted to give this old recipe a facelift with updated photos. As much as I love eating juicy, plump, fresh berries by handful, I absolutely love making sweet berry desserts, sauces and jams. 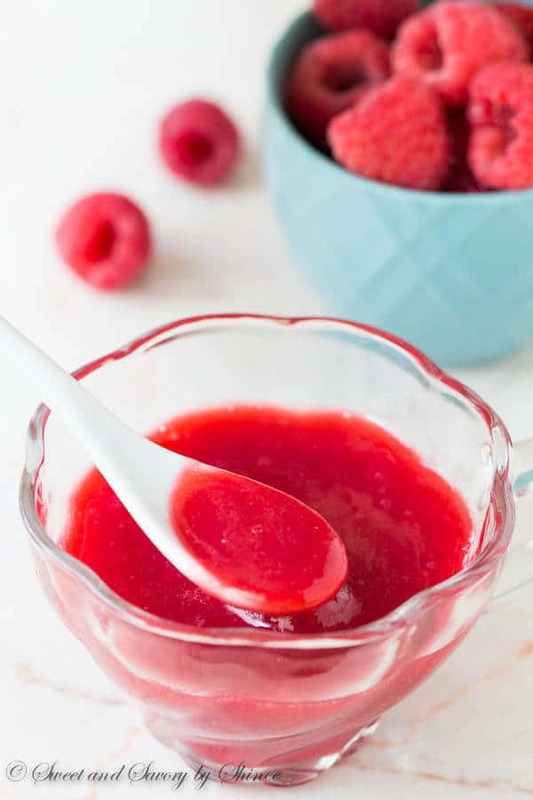 And one of the simplest things you can do with fresh (or even frozen) raspberries is to make simple raspberry sauce. 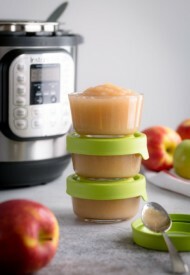 So you can smother your pancakes, crepes, waffles, ice cream, cheesecake, and any kind of cake with it. Chocolate cake with raspberry sauce, anyone? Or how about this stunning Lemon Raspberry Cheesecake Bars that I made with honey-glazed raspberry sauce a while back. 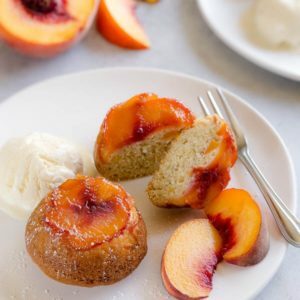 For this recipe, you’ll need only 3 ingredients and about 5 minutes. Also, this raspberry sauce is made without cornstarch. Really, you don’t need it, because raspberries already have enough pectin in them to thicken on its own. Quick tip: the longer you cook the sauce, the thicker it gets. 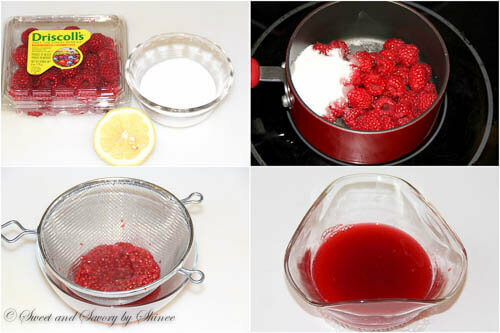 Here’re step by step photos to show you just how easy it is to make a simple raspberry sauce. You can use either sugar or honey, both works quite well. If this isn’t the easiest recipe, I don’t know what is. 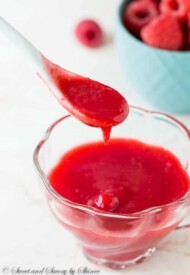 Next Tuesday, I have another gorgeous new recipe using this exact raspberry sauce. Make sure you’re subscribed to my weekly newsletter, because you don’t wanna miss! 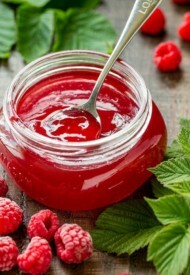 Place raspberries, sugar, lemon juice and 2 tablespoons of water in a small saucepan. Reduce the heat and simmer over medium low heat for about 5 minutes, or until the sauce is thickened, stirring constantly. Strain through mesh sieve to remove seeds. I was following the recipe and finally noticed “Shinee” and my 1st thought are you a Shawol? Kpop group Shinee world followers are called Shawols. My daughter is one. Is this good to add to a cake mixture? How much do I use for a batch of 12 cupcakes? Hi, Susan. If your cupcake recipe calls for raspberry sauce, then sure, you can use it. But I’m not sure on how much to use. 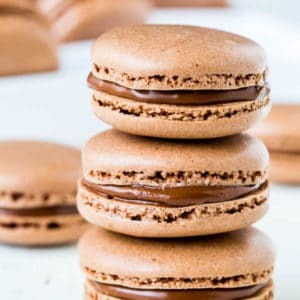 I’m so happy I found this recipe! I kept looking for a raspberry sauce recipe without corn starch because I can’t have it and couldn’t find one till I saw this. I’ve made it several times and it’s so delicious on brownies! Kamie, so happy you found what you were looking for! And yes, this sauce is amazing on brownies! YUM! Thank you for your feedback! Hi, Kristina. It’ll be good for up to a month in the fridge. Hope you’ll enjoy! 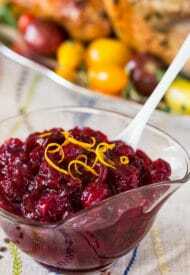 What could be better than a seedless raspberry sauce? Simple and amazing! 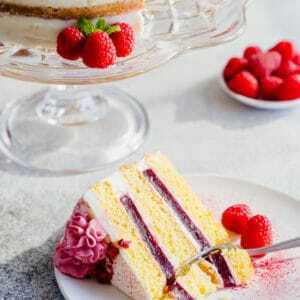 I love the Lemon Raspberry Cheesecake Bars too! What a gloriously coloured sauce. Just perfect for drizzling or pouring. Look forward to seeing the recipe with it. Oh this would have been perfect. Haha Thanks for stopping by, Krysten! Oh my! 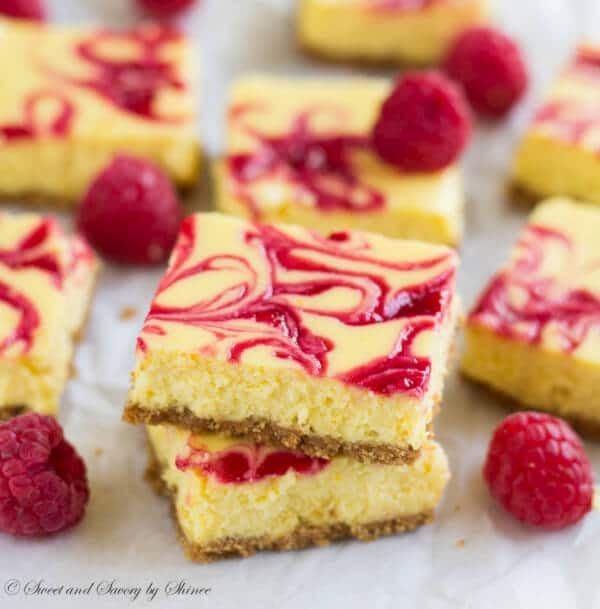 These lemon raspberry bars look delectable! I’m with you, I love making raspberry sauce! It’s so easy and there is no better taste in the world! I’ve never used honey, I’m going to give that a try this year. Thanks! Honey is just another alternative and adds just tiny bit special flavor. Hope you enjoy it, Beth! Very good to know! 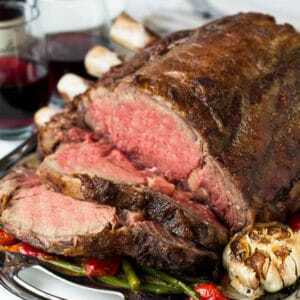 pinning for later, thanks!